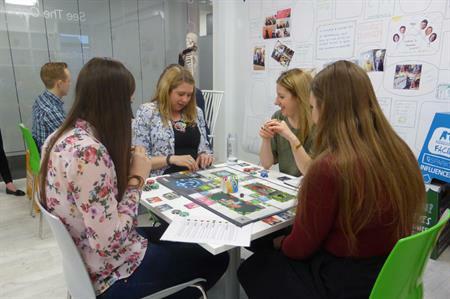 Ashfield Meetings & Events' employee development group, Future Focus, has collaborated with Bluehat Develops to deliver a tailored leadership development game. FreshBiz is a business simulation game from Bluehat Develops, aimed at encouraging creativity, collaboration and confidence among emerging leaders. Sarah Longland, training & development manager at Ashfield Meetings & Events, said: "We work in partnership with Bluehat to create and deliver highly tailored teambuilding solutions for our clients, and on this occasion, our own employees. To be successful in Freshbiz the group had to act as conscious leaders: taking actions, generating new ideas, engaging with and influencing others, whilst being perceptive enough to spot and create opportunities." Sean Clarke, learning and development director at Bluehat Develops, said FreshBiz is a transformational game, which presents an accurate and contemporary business reality. "The Ashfield group were a wonderful example of how working together and leveraging opportunities can help businesses stay ahead of the wave of change. The group already had a creative mindset and we were able to harness this to help turn ideas into reality – something that will help them stay true to themselves as they progress in their careers and become leaders."